Compassion in Action Award Winners Announced! Matt Talbot Announces Annual Compassion in Action Awards and Celebrates 10 Years of Feeding the Soul of the City! 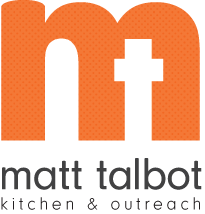 Matt Talbot Kitchen & Outreach (MTKO) is pleased to announce the 2015 Compassion in Action Award recipients who will be honored on March 26, 2015 at MTKO’s Feeding the Soul of the City dinner and fundraising event at Nebraska Innovation Campus. This is the tenth anniversary of the annual event. The Individual Compassion in Action Award will be given to Joyce Champoux who has faithfully volunteered at Matt Talbot for more than 20 years by leading a hunger relief team that provides a monthly meal. In addition, for over nine years she has also made an extra trip to the kitchen each month to provide free haircuts to guests. Her commitment to serving the poor with dignity and respect is an inspiration to all who know her. The Collaboration Compassion in Action Award will be presented to Southwood Lutheran Church for providing the guests of Matt Talbot with a monthly meal, coordinating our annual Easter Egg Hunt, and for providing donations and funds that support Matt Talbot’s outreach program. The congregation has an active mission program and works alongside many human services agencies in the Lincoln community. Matt Talbot is blessed to partner with them in our shared mission of service to those living in poverty. Feeding the Soul of the City starts at 5:30 pm with a social hour and silent auction. The dinner and program will begin at 6:30. Rod Fowler, Channel 8 Eyewitness news Anchor, will serve as Master of Ceremonies, and an inspiring video will be presented highlighting Matt Talbot’s Street Outreach Program. “We are so excited to host this special dinner and program each year. It is a wonderful celebration of compassion, community and collaboration – and it is made extra special this year as we celebrate the ten year anniversary of the event,” said Susanne Blue, Executive Director. The cost of the dinner and program is $75. Proceeds from the event support general operations at MTKO 365 days of the year. Reservations and donations can be made at mtkserves.org or by contacting Vicky Drozd at 402-817-0619. Serving lunch and dinner seven days a week, Matt Talbot Kitchen & Outreach is a hunger relief and outreach center for those in need. Last year Matt Talbot provided nearly 113.000 nutritious meals to the hungry in Lincoln and more than 25,000 homeless prevention services such as transitional housing, drug & alcohol evaluations, life skills classes, nutrition counseling, and help with obtaining vital identification documents. Learn more at www.mtkserves.org.